Whether you're looking for inspiration this Valentine's Day or wanting to pick up your next romantic lip shade, Merle Norman's got you covered. They have lip glosses, lip glazes, creamy lip colors and even age defying lip colors that will give you the perfect pop of color. 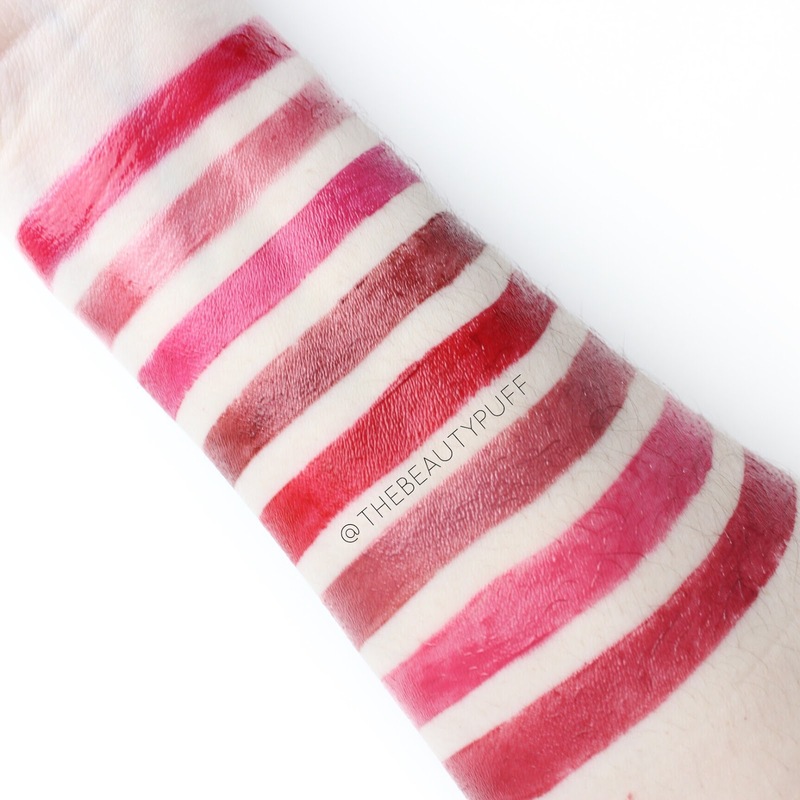 In this post I'll go over just a sampling of what they have to offer along with swatches so you can see the shades next to each other. One of my favorite formulations is a classic lip gloss. The Merle Norman Kiss & Hug Lip Gloss has an ultra-smooth formula that leaves your lips hydrated and full of gorgeous color in just one swipe. I also love the curved doe foot applicator, it makes application much more comfortable and precise. The shade pictured above is Red Velvet. There's no shortage of lipstick formulas in the Merle Norman line. 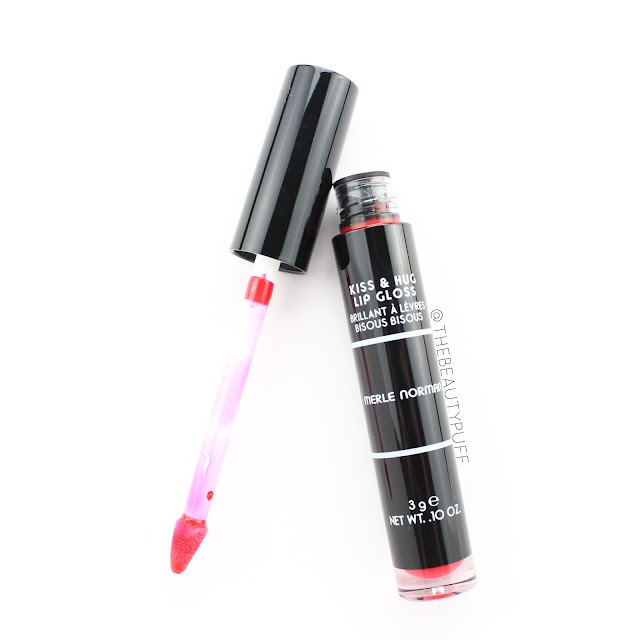 For those that want a lighter, buildable wash of color, the Lip Glazes are perfect. These are nice for a hint of color but you can also layer them for a more intense pigment. This is my favorite formula for the spring and summer! The Lip Glaze pictured above is in the shade Berry Romantic. The Age Defying + Lipcolor line has both matte and shimmer shades. The formula not only provides beautiful color, but also helps diminish the appearance of fine lines and increase water retention. The two shades pictured above are Fuchsia Flirt and Heartthrob. Some of my favorite Merle Norman lip shades come from their Creamy Lipcolor line. 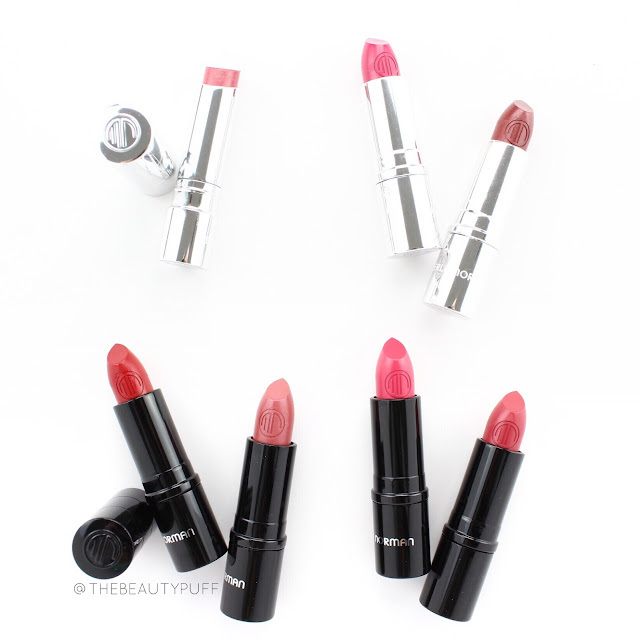 These lipsticks pack a punch with pigment and feel incredibly smooth on the lips. There's a shade for everyone and every season! 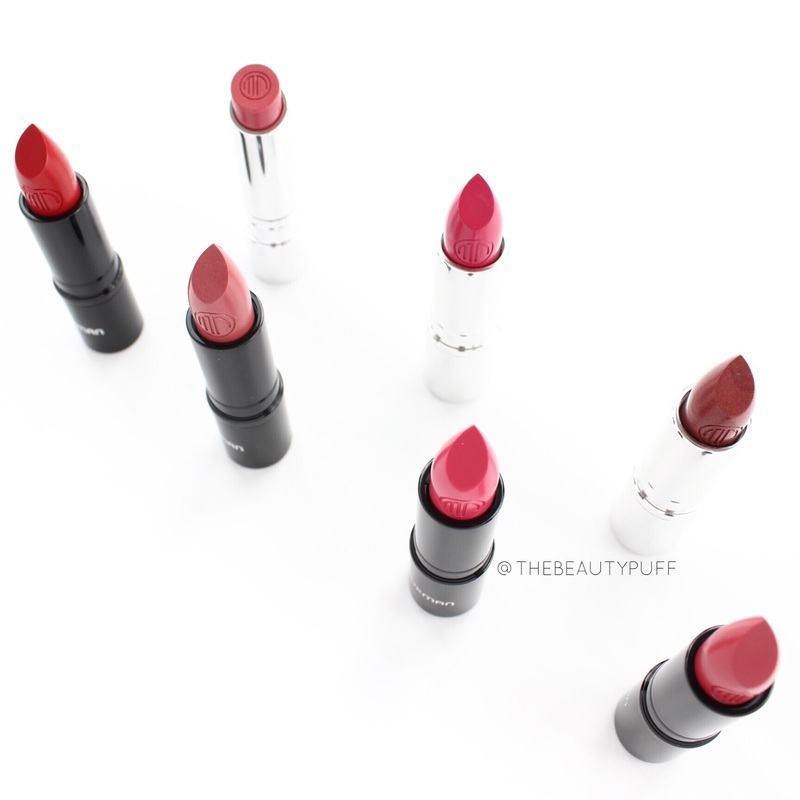 The shades pictured above are Amour, Raspberry Crush, Romance, and Sweetheart. Search below for your nearest Merle Norman Studio and find your perfect shade this Valentine's Day!